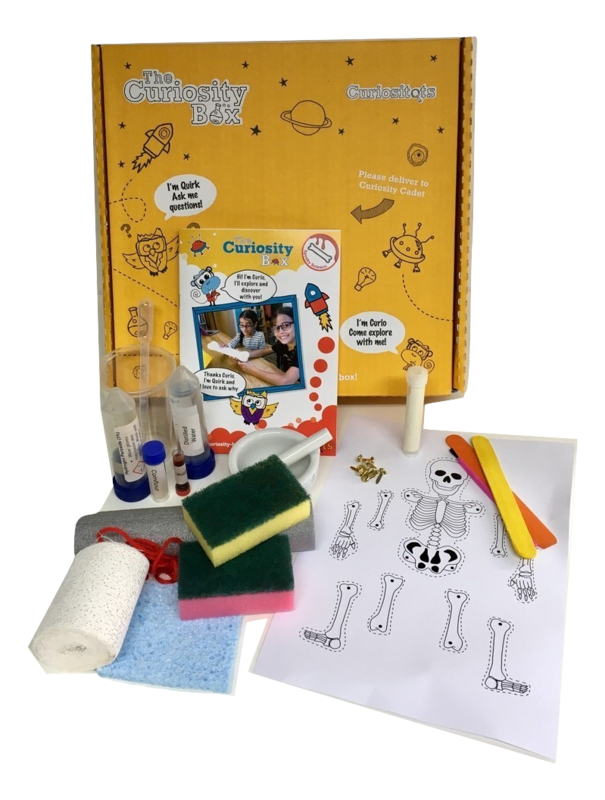 Oodles of sciency fun for 4-6 year olds with our themed Curiositots Boxes! Giving you hands-on experiences of science and engineering to build confidence and have serious fun. There are 4 activities in this box with a mortar and pestle to keep. Watch colours disappear in the Draculas Cloak activity, learn about bones and make your very own model of a bone in the Rattlin Bones activity, make a glow in the dark skeleton and build a noise making device that howls hilariously!